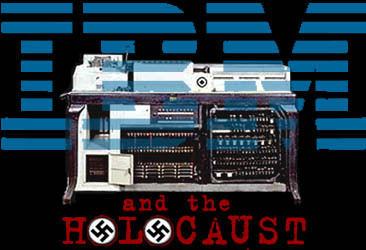 In a world of paralytical thought Patrick Durusau might become the daddy of IBM and disagree with facts. Does he recognize the right of national bodies to appeal? Patrick Durusau, the disloyal ODF editor again adds another rant for the adoption of the broken Open XML format. OOXML has been approved by a super-majority of those eligible to vote, appeals have been denied and yet the cry: “You're Not LISTENING TO ME!” goes on. I don't normally restrict my posts to one type reader but if you have never raised teenagers, please stop reading here. For those of you who have raised teenagers, you will recognize the persistent cry from IBM and its many surrogates around the world that ISO and its national member bodies are “not listening” to IBM. When your angry teenager said “you're not listening,” your response was: “no, I am listening but I simply disagree.”… The objections were heard, considered and the vast majority of us simply disagree. The required majority has spoken, the appeals have been denied. Everyone should ignore further teenager type complaints and join SC 34 in working on both ISO 26300 and ISO 29500. The outstanding polemics of P. Durusau shows to me that a codger is losing his argument. Still there is grounds for appeal as ISO pointed out and good reasons to go for it. Those bodies dissatisfactory with the outcome are free to exercise their right of appeal. If the constructive approach towards a standard pushed through by rule bending and committee stacking process is to recommend others to join a stacked committee where Microsoft not only controls the majority but aims to control everything, good bye ISO. Unlike editors as Durusau Microsoft standardisation participants are loyal drones of their company's standard they edit. SC34 won't be able to do anything which is not approved or developed in the United States. External input would be ignored unless there is a leverage. We saw it during the process. "Vendor capture" as we call it. The whole situation makes a joke out of international standardisation institutions. ISO should be as concerned as industry veterans are. IS he [i.e. Durusau] really trying to persuade himself or are we missing something (in terms of communication/positionning) here? And please don't link to crack pot stuff.